Raid My Closet: Best Hair Conditioner for Summer! Best Hair Conditioner for Summer! Every summer, I tend to change my skincare and hair care routines. I feel like my body demands something more refreshing and hydrating because of the daily scorching heat. Just to share, my skin became very sensitive after the drastic change in weather - cold, dry nights to extremely hot days. From religiously following this skin regimen, I had to switch my facial wash to Cetaphil Gentle Skin Cleanser, and added the Innisfree Green Tea Mineral Mist as my last step. I've yet to explore the products that I need to change or add along the way. 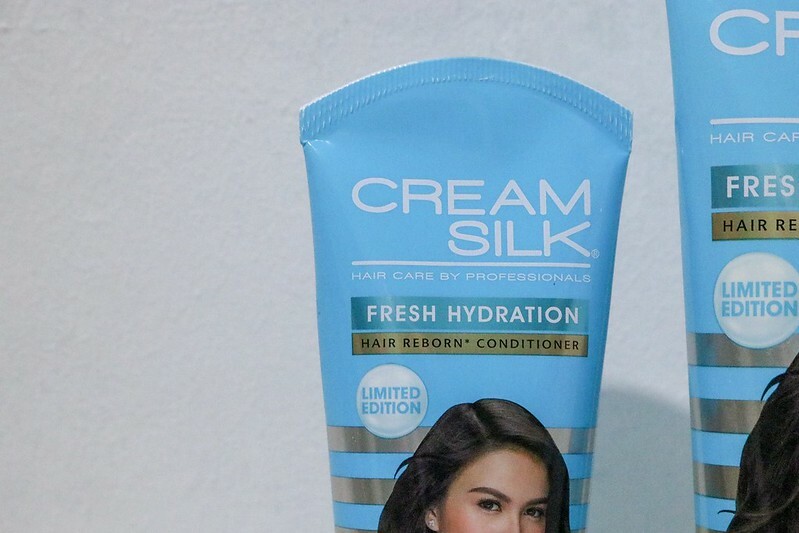 Thankfully, my tresses won't go through trial and error anymore because Cream Silk has already figured things out for me. 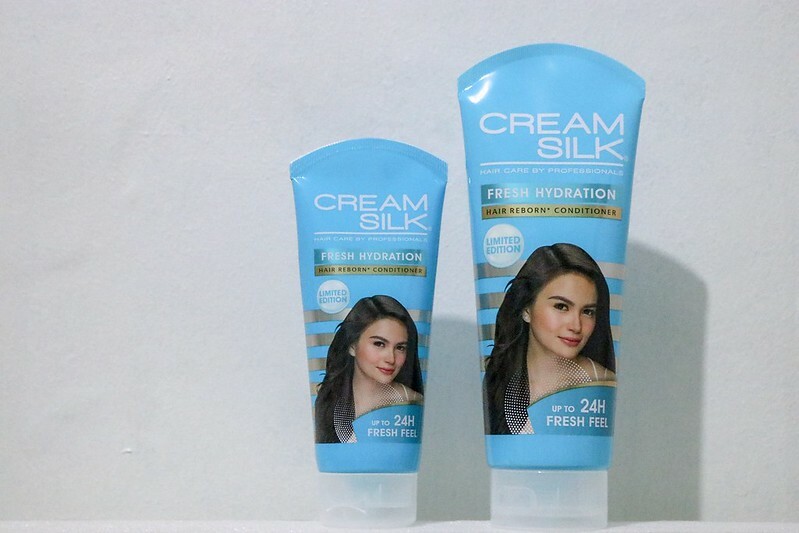 They released the NEW Limited Edition Cream Silk Fresh Hydration, a conditioner designed specifically to combat summer dryness. Best part? This conditioner can transform your hair to feel hydrated from the first wash! Recently, I tried it first hand and witnessed how my hair went silky and fresh, without the greasy feel. 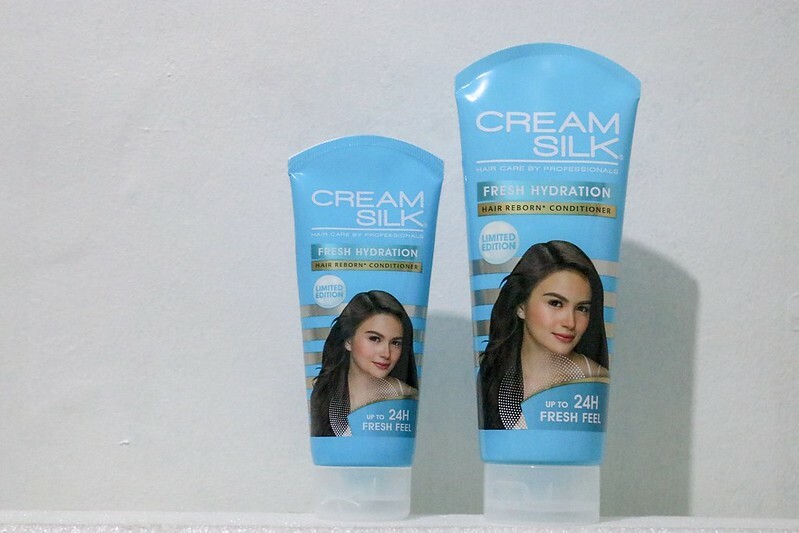 If you're off to the beach this long weekend, make sure to bring the Cream Silk Fresh Hydration with you. After being exposed to the sun (probably from swimming or water sports), wash with shampoo and this conditioner. Leave it on for a minute then rinse well. You'll get surprised by how this product can give your crowning glory 24 hours of long-lasting freshness! Only SRP Php109.00 for 170ml and Php197.50 for 340ml. Available in leading supermarkets and drugstores nationwide.